Immigrants and pioneers began settling the Allen TX area in the mid-1800s. In 1872, Allen became a town. In 1878, Sam Bass and his gang committed the first known Texas train robbery by holding up the newly built Houston & Central Texas Railroad. On the upside, the railroad brought prosperity because plant-based edibles could now be distributed and sold across the country. This meant that Allen farmers could grow and sell crops in addition to raising cattle. Allen Texas is 25 miles north of Dallas in Collin County TX. In 1953, Allen incorporated as a small town with roughly 400 residents. It now has a population of over 85,000, and most households are married couples with kids. The majority of residents are between 25 and 45 years old, and the median family income is about $100,000. Watters Creek at Montgomery Farms offers retail therapy in a resort setting with upscale boutiques and shops. For designer discounts, Allen Premium Outlets provides steals and deals from retailers like Neiman Marcus, Guess, Coach, Perry Ellis and Gap. For family fun, The Village at Allen features shopping, restaurants, entertainment and a kids’ play area. Indulge in extreme water sports at Hydrous Wake Park located within Allen Station Park. There are wakeboard systems on three lakes with ramps that accommodate all levels of expertise. This is one of the best wakeboarding parks in Texas. Also located in the 109-acre Allen Station Park is the Edge Skateboard Park. It has 37,915 square feet of concrete and a large bank slop on which beginners can practice. Allen Station Park also has two skating rinks, baseball and softball fields, a BMX track, a bike trail, beaches and a playground. Cosmic Jump was designed to provide a jumping experience with zero-gravity and zero-resistance. If you want even more trampoline fun, JumpStreet offers over 20,000 square feet of wall to wall trampolines. Celebration Park features a variety of kids’ play stations and activities including a handicap-accessible playground. Families can enjoy hiking and biking trails, basketball courts and softball, baseball and soccer fields. The Don Rodenbaugh Natatorium features two indoor pools. The Deep Water Pool has diving boards, open swim and swim lanes. The Leisure Pool has a slide, water play features, a lazy river and a whirlpool. The Natatorium includes a 24-foot indoor climbing wall that’s fun for all skill levels. The Allen TX Civic Ballet performs the Nutcracker every December and hosts the Allen Dance Festival every spring. The Allen Philharmonic features a complete concert season with performances in various venues. Every June, the Market Street USA Celebration brings a national music act to Allen’s main stage. The event includes food vendors, activities for the kids, and one of the most impressive fireworks displays in Texas. Each November the Tom Thumb Texas Stampede Rodeo hosts world championship competitions and concerts by top country music artists. Allen TX has a subtropical climate with hot, humid summers. While winters are generally mild, lows can reach into the 30s. This is a city where having reliable HVAC service is a must. Bill Joplin’s Air Conditioning and Heating has been a part of the Allen TX community for over thirty years. 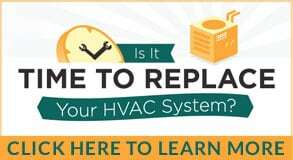 As a family-owned business and an Factory Authorized Carrier Dealer, they’re the local go-to company for affordable HVAC service. Whether you need emergency AC repair or want to schedule a furnace tune-up, the NATE-Certified technicians at Bill Joplin’s will get the job done right.